14th - Happy Valentines Day!! 1st - Closed. Happy New Year!!! 25th - Closed. Happy Holidays!! 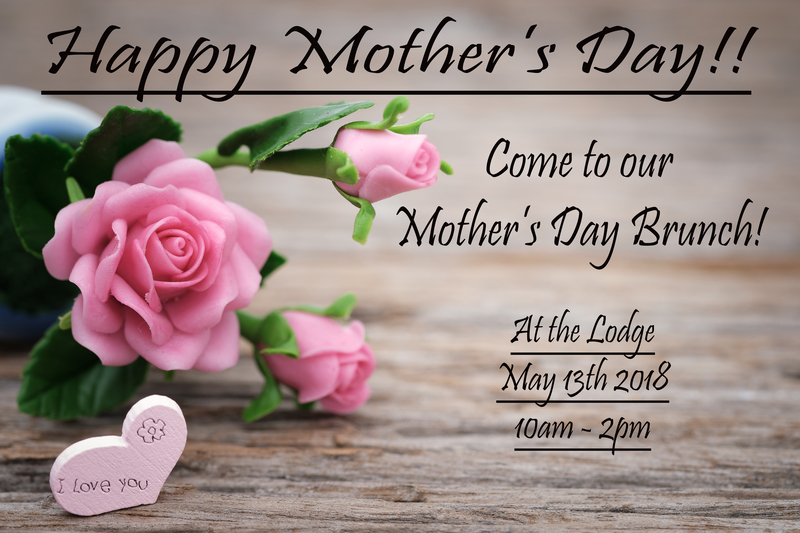 13th - Mother's day brunch! 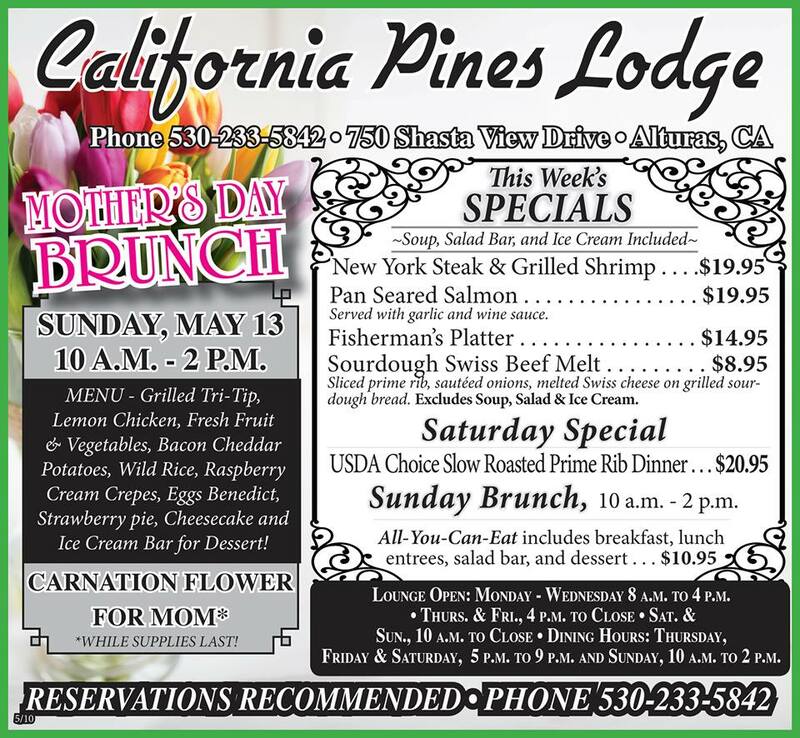 10AM-2PM Call 530-233-5842 for reservations! 1st - Easter Brunch and Egg Hunt! Come join us! CAL PINES COMMUNITY YARD SALE - 9/29, 9/30 & 10/1/17 Residents who wish to partake in the community yard sale need to notify Cal Pines Lodge (form provided in office) to be put on the site map. This needs to be done by 9/18/17 by noon. The map will be given out the morning of the yard sales. This yard sale will be put in the local newspaper.